Bicolour (Black/White), multilayer co-extrusion film, manufactured in LDPE and LLDPE (lineal), in thicknesses starting from 100 microns. 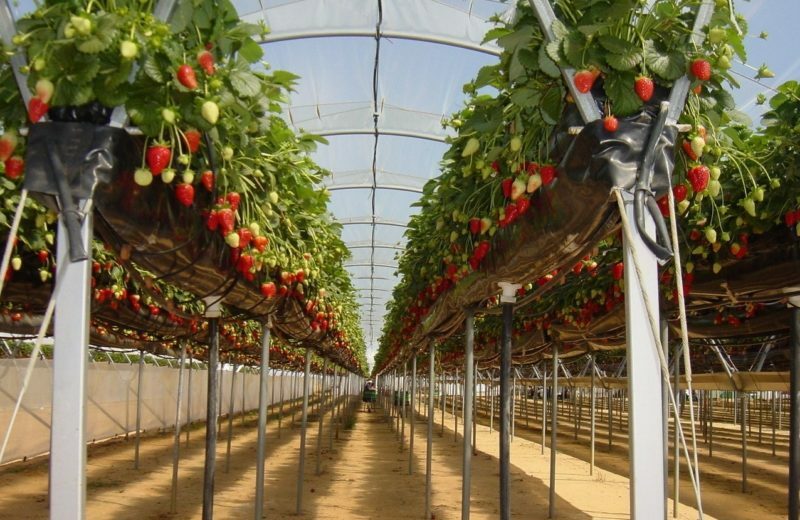 This film has been designed to be used as the base of the substratum for hydroponics crops. Hydroponics require cultivating the crops inside substrate sacs, which act as soil substrate. This is the reason they are also called “crops without soil”. Greater mechanical properties and strong resistance to tearing, giving an optimum performance against external conditions such as wind, rain, hail, etc. The white provides homogeny extraphotoluminic nutrition for the plant because of its light reflection effect. Thanks to the reflection effect, the film becomes less hot than a black film. This way we avoid the risk of burns of the plant. The black colour blocks the solar light transmission, preventing weed growth.